The importance of removing the stagnant nasal secretion. Why is the child coughing if he/she does not have a runny nose? 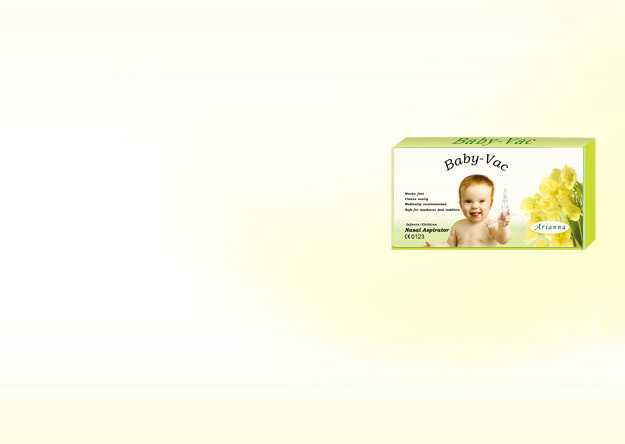 Please read our (Baby-Vac) Frequently Asked Questions (FAQ) page, where you can find more information about the use of Arianna Baby-Vac. Welcome to our website. 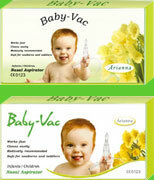 This site informs you about the use of Arianna Baby-Vac and the articles related to this product. We hope our site will satisfy your curiosity and dispel any doubts. Please read our Frequently Asked Questions (FAQ) page, where you can find the answers to the most common questions. A running nose for babies and toddlers is very common. One of the major problems is that a small child is not yet capable to blow his/her nose and it will take some time before an infant or a baby will learn to breathe through the mouth. Snuffles will hinder breathing, make them feel discomfort, and may lead to more serious health problems concerning the ear, nose, throat and the inferior respiratory tracts. Therefore it is very important to keep the nasal cavity clear. 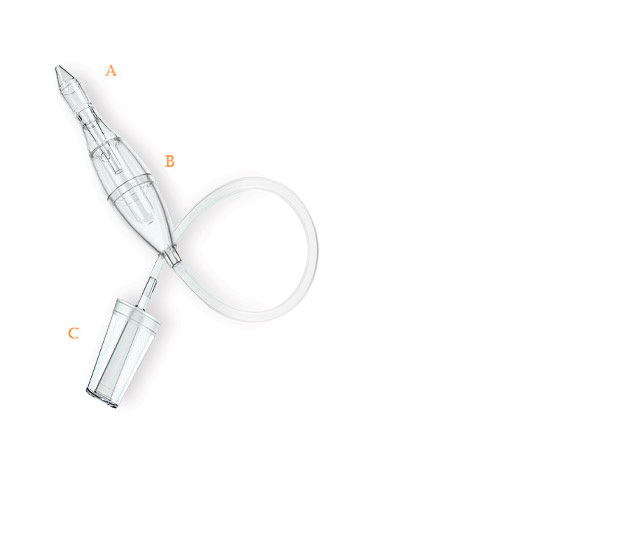 The Arianna Baby-Vac Nasal Aspirator is by far the best alternative for this purpose. Naturally, a check-up by a health professional is not replaceable. Only a doctor can diagnose the cause of a nasal secretion. The removal of secretion from the nasal cavities will accelerate recovery in case of sickness, improve breathing and general well-being, and help in the prevention of disease. Place the child or infant in a sitting / upright position. We recommend to hold the child in your lap until he/she feels comfortable with this apparatus. You may gently rotate the evacuator in a circular motion. Repeat this process in the same or/and the other nostril daily or as needed. Clean the units before and after each use by washing it with hot soapy water. Rinse with hot or warm water. 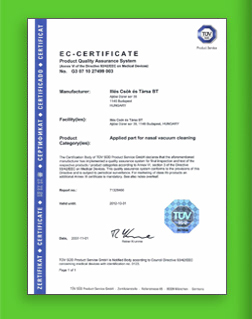 Do not use any detergents, chemicals or abrasive materials on it. 2.Turn on your household vacuum cleaner. attachment hose on the vacuum. 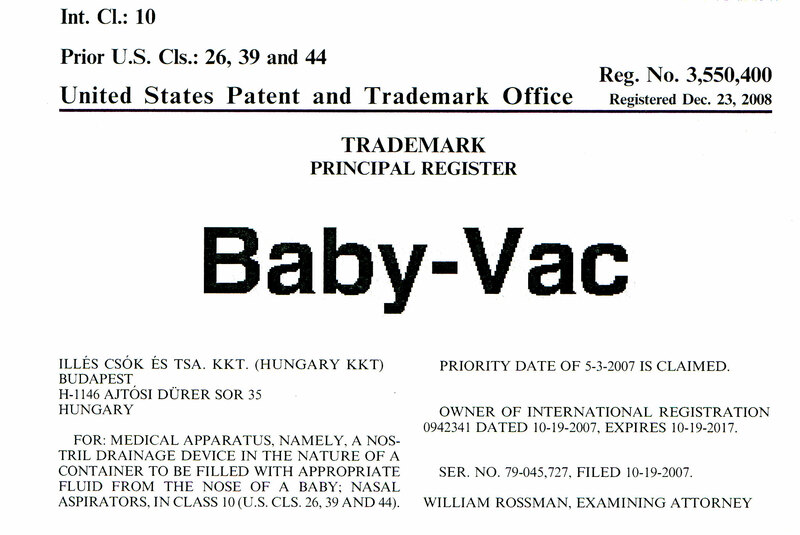 Remove the vacuum cleaner adapter (C) from the operating vacuum, and then turn it off. Two evacuators can be found in the box.